Use these N2O cartridges with your 1/2 and 1 liter cream whippers / dispensers. These cartridges are essential for whipping the perfect cream to top your ice cream, cakes, or coffees at your restaurant or cafe. You can also use them to make mousse, cold dessert toppings, and other delectable desserts. Simply place this cartridge in a compatible whip, insert a decorating tip, shake, and dispense luscious and delicious whipped toppings in seconds. 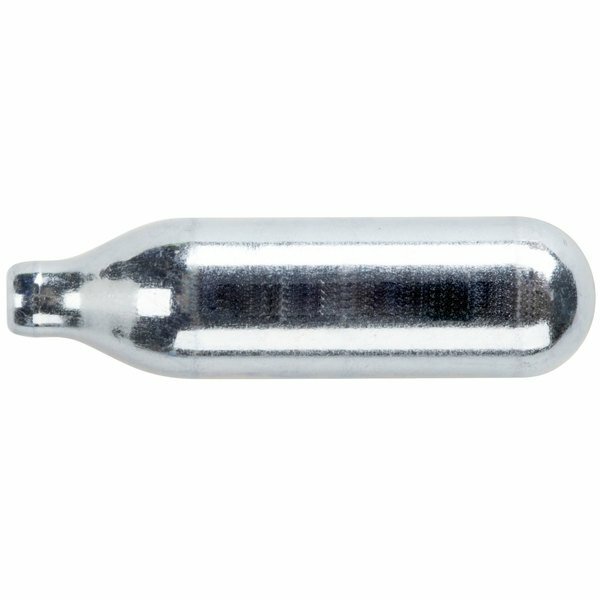 Conditions of use: You must be 18 years of age (21 in Ohio) to enter our website and purchase our nitrous oxide chargers. You are agreeing to be of legal age by entering our site once reading this disclosure. We will not be held liable for injuries or deaths caused to anyone for any misuse of these products, regardless of age. By entering our site you are agreeing to these terms and are subject to state prosecution if legal actions are necessary, and will be subject to pay all legal fees. 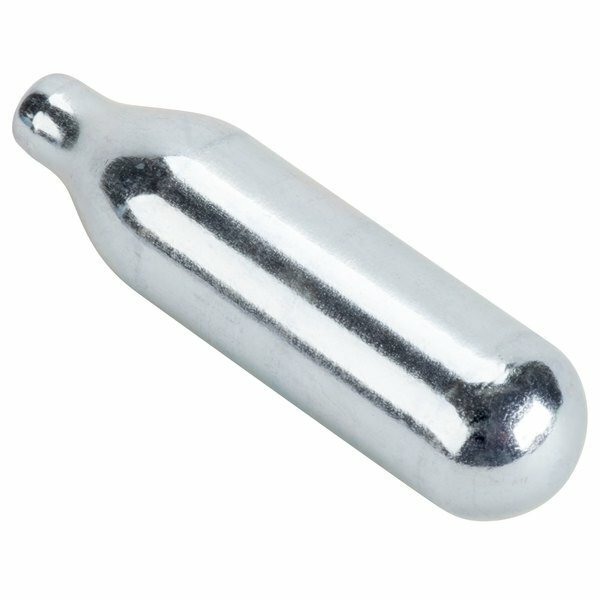 Do not inhale the contents of the nitrous oxide gas chargers. It may cause serious injury to your lungs as well as irreversible damage, including possible death. These are great cartridges because everything else which is on the market is filled with 8 grams of NO2, these have 10 grams, which means that if you follow your directions in terms of not over agitating the whipper, you will come out with a nice lean cylinder in which the whip cream went onto the product as opposed to forming in the vessel so that you can wash the whip cream down the drain. Before I lucked up on these I was buying these on another website and about 1 in every 8 or so would fail, so I started studying and found that the ones filled with medical grade nitro are better cylinders. The only thing which I am a little disappointed is that they aren't advising you that in most states u must be 18 to use these. Love love love these , I have plus which means I pay a fixed price for shipping each month , so ordering 10 cases of 24 doesn't stress my shipping budget. Can't go wrong with these. They last a while and charge our dispenser well without any leakage of n2o. We'll definitely be ordering these from web restaurant again. Chef master whipped cream dispensers or cartridges work so well with my whipped cream canisters. I only have to use two cartridges for my canisters and they hold well. I think I will go with the ISI branded ones next time. But the price was pretty great! Sometimes there is an undercharged one. Works good with the ISI dispenser. These are some of the best whipped cream chargers I have used at the best price too. Very good, very cheap, at least as good as name brand. Buy these! I have never had an issue with these cartridges. I use them for my whipped cream dispenser and they fit into the dispensers well. Never had a faulty one before. The N2O Cartridge works great with the Whipped Cream Dispenser to make Whipped Cream. I really like the whipped cream we got to make. 5 stars, easy to use. You need to make whipped cream on your own, not buy the stuff from the grocery store. You need these in order to do that. We purchased N2O cartridges along with whipped cream dispensers sold on Webstaurant in order to make whipped cream. Easy to open box with 24 in a pack. One cartridge filled a half liter dispenser. Punctured tip lets you know that the cartridge is empty. These bullets are great. Within seconds we have homemade whipped cream. We add a little vanilla syrup for a subtle flavor. We highly Recommend this product! Whipped cream dispensers are necessary for serving our customers delicious fresh whipped cream, and these N20 Cartridge for Whipped Cream Dispenses are a core component for our dispensers. They arrived exactly as described. These cartridges work well for our whipped cream maker to make homemade whipped cream at our coffee shop. I like being able to buy in bulk so it's less expensive and I don't easily run out. This 24 pack of N2O cartridges works great for whipped cream dispensers. Use one cartridge for a 1/2 liter dispenser, or two for a 1 liter dispenser. The cartridges are stainless steel and recyclable. Nice N02 charger. It has worked fine in a whipped cream dispenser that i purchased separately. I was not 100% sure it would work when I got it, but it has worked great thus far and I've used maybe 5 already. Bought these for my whipped cream canister and they work great. Easy to install and use. Great price for the amount that you get. Will reorder. Very good price, we use our dispenser all the time. It is nice that it comes in such a large count box, so we can keep plenty on hand. These are great chargers, we end up with a little cream left over in the dispenser, but not enough to be mad about. The price is great too! THis has worked great for us. We make our own homemade whipped cream and this has made is super easy to dispense and use on a daily basis.